Not to toot my own horn or anything, but I think I've done pretty well in a) hacking this non-vegan waffle mix (a.k.a. bringing it over to the "dark side") and b) redeeming myself of my previous burnt-bagel-because-I-bought-a-waffle-iron-instead-of-a-toaster little mishap. But hey, deliciousness did come of it all. On a less sentimental note, waffles are just an unbeatable breakfast food. Pancakes are good, but they're flat. The syrup just carries whatever toppings you choose right off the pancake - how annoying is that? SO ANNOYING. 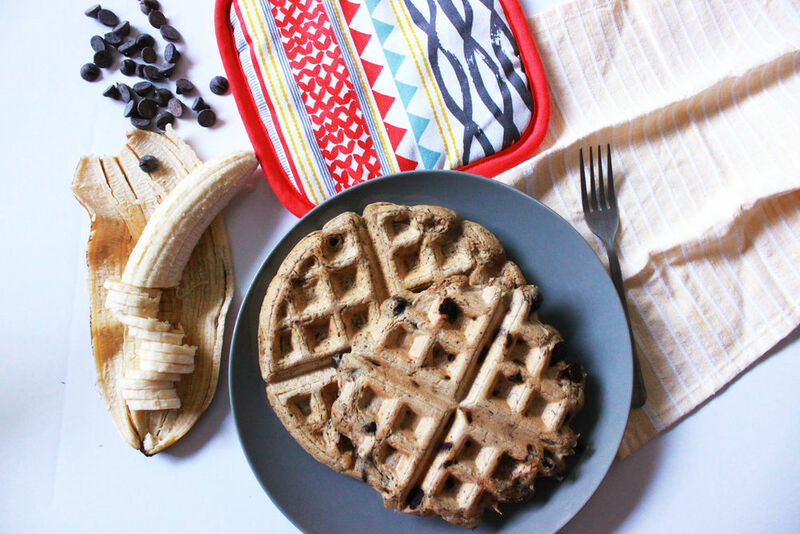 Waffles are much more considerate - they've clearly done enough sit-ups and crunches and cardio to keep their abs toned enough to cradle your precious nut butter and toppings so that you don't have to hold the plate up to your face and lick it clean (though you can if you really want to...). As you can see, waffles are just too special to me to let go of with the excuse that "they can't be made vegan". PUHHLEASE. That excuse is for wimps, those who are afraid of failure and settled on boring breakfasts like toast or cereal ( or burnt bagels in my case). Not me. Believe me, I've had my fair share of waffle-disappointments. I've left out essential ingredients, I've given into impatience and opened the iron too soon, and I've tried the 2-ingredient protein-style batter a million times. It's safe to say that I'm more than satisfied in finally achieving this vegan recipe. It may not be 100% from scratch, but hey, baby steps, right? 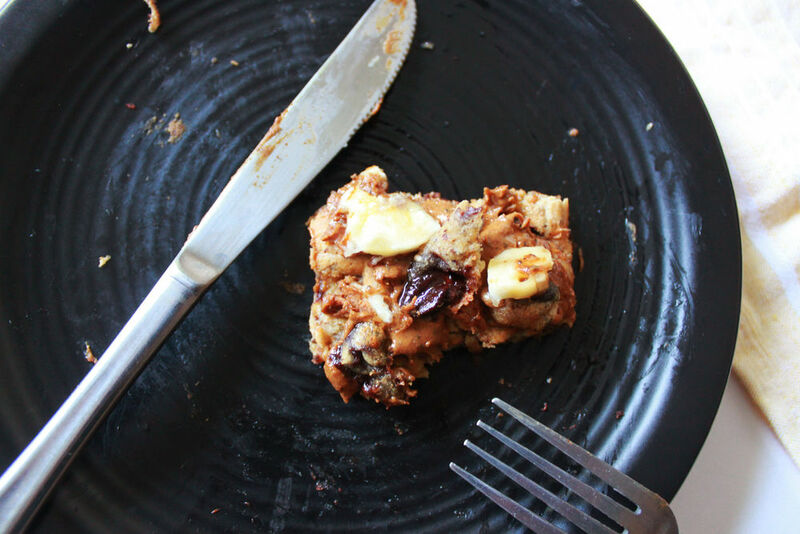 Optional add-ins: chocolate chips, cinnamon, raisins, sliced banana, nuts, etc. Start by heating your waffle iron while you prep the other ingredients. In a small bowl, whisk the flaxseed meal and water and set aside to thicken. In a medium-size bowl, stir together the waffle mix, water and milk until combined. When the flaxseed mixture has thickened, whisk into the batter along with any additional add-ins and let it rest for 5 minutes. Lightly oil the waffle maker and, using a spoon, slowly pour the batter onto the waffle maker, close, and cook until golden-brown and crisp on both sides. Remove, transfer to a plate and cool slightly. Top with maple syrup and nut butter (if desired) and serve immediately.